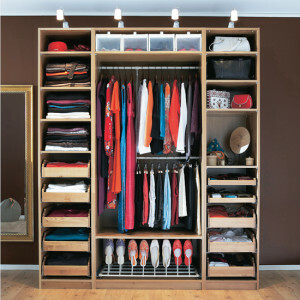 Would you love to have a beautifully organised wardrobe like this? Is the reality that yours is….? You have lots of clothes but often feel you have nothing to wear. Nothing seems to go with anything. You sometimes waste money on clothes you don’t wear. You wear 20% of your wardrobe 80% of the time. If you’d love to have a carefully edited wardrobe of clothes you look and feel great in, help is at hand! Some of the key colours and styles which will work for you. How to mix match and co-ordinate to build multiple outfits. How to “weed” and organise your existing wardrobe effectively. How to create a wardrobe which works for you and your lifestyle. Take away: A Capsule Wardrobe Workbook full of tips to help you build your own capsule wardrobe once you get home. Please note that I am running a similar workshop the following morning. Places on both workshops are strictly limited so please call me on 07703 405106 or email me now at Nicola@mypersonalstyle.co.uk to book yours.